Find out how we've grown from our start as the first-ever videoconference program at a major conservatory in the US. Manhattan School of Music inaugurates the first-ever music videoconference program at a major United States conservatory. Honorary Doctorate Conferred upon Mstislav Rostropovich and Clark Terry via International Videoconference —President Marta Istomin confers honorary doctorates upon Maestro Mstislav Rostropovich and jazz trumpeter Clark Terry live from Evian, France via videoconference during the 71st commencement exercises. Creation of Mischa Elman Distance Learning Center — To support the growth and development of videoconference music programs and applications, the Elman Distance Learning Center is established. The Center joins the aesthetic tradition of a conservatory music studio with 21st-century technological capabilities in a one-of-a-kind virtual music studio. Manhattan School of Music Distance Learning Program is named 2009 Computerworld Honors Laureate in an awards ceremony at Mellon Auditorium, Washington, D.C.
Manhattan School of Music Distance Learning launches Global Conservatory, a new initiative aimed at connecting with institutions around the world to engage in group lessons, private instruction, and ensemble coachings, as well as academic and professional seminars, with MSM’s world-renowned faculty. Manhattan School of Music Distance Learning partners with InstantEncore to present a masterclass with renowned baritone Thomas Hampson as the first live video stream of a classical music event across an iPhone/iPod touch application. Manhattan School of Music and Polycom, Inc. build on their decade-long relationship and sign a strategic partnership agreement that, among other important points, expands the Polycom network that powers the Distance Learning Program to reach more students throughout the United States and the world with a broader set of offerings, thereby ensuring that children of all ages are given the opportunity to be exposed to top-notch arts education despite their socioeconomic status or geographic location. 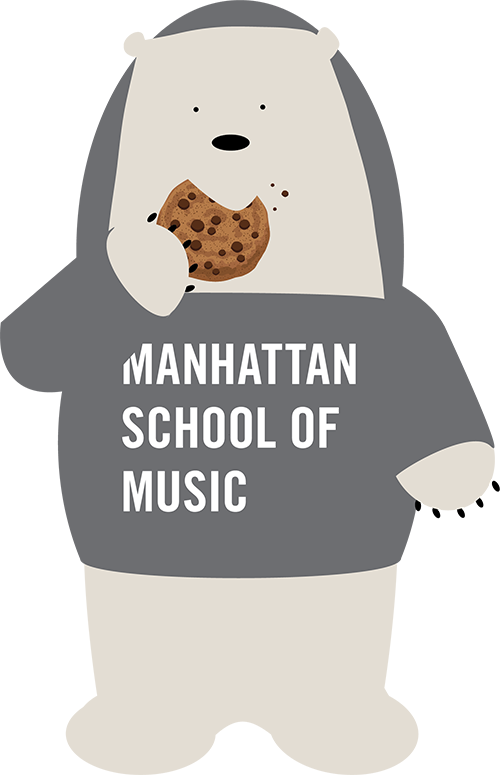 Manhattan School of Music and the Australian National University announce the formation of an international distance learning partnership that sees the formation of a unique relationship using state-of-the-art music videoconferencing facilities and the high-speed networks of Internet2 for one-on-one lessons, masterclasses, ensemble coachings, professional development sessions, virtual staff and student exchanges, and collaborative research into best practice in music performance and education over long distances. Manhattan School of Music launches a new online digital library which promises instant access to the Distance Learning Program’s extensive video archive of all past events, classes, and lessons. Manhattan School of Music launches the Virtual Music Studio pilot program designed to reach home-based learners via desktop videoconferencing for music. MSM partners with the Nebraska Arts Council and Educational Service Unit Coordinating Council to create a new distance learning model in which credit-based music instruction is delivered to students throughout the state of Nebraska. MSM launches its official YouTube channel, featuring 7 seasons of Thomas Hampson Voice Master Class video excerpts and receiving nearly 25,000 hits in 3 months. Coupled with its Facebook and Twitter presence, the Distance Learning Program is now fully engaged in social media. The Manhattan School of Music Distance Learning Program establishes an endowed fund “The Melos Fund for Distance Learning Innovation at Manhattan School of Music” with a cornerstone gift from the Ervika Foundation. MSM Distance Learning announces the Digital Scholars Program enabling students to train and teach music programs to K-12 classrooms around the globe. MSM Distance Learning’s inaugural use of LOLA technology in support of the Hampsong Foundation’s Song in Dialogue: A Learning Performance in collaboration with the University of Michigan School of Music, Theatre and Dance.Through direct fiber optic connections, audio and video signals take 20 milliseconds to travel from MSM to Michigan, enabling near perfect real-time interaction. The Distance Learning Program expands into a Hybrid Learning model with the integration of a new Learning Management System — Kannu — specifically designed and developed for creative arts education.